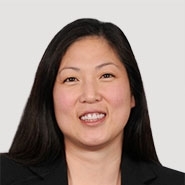 Pauline Morgan serves as Chair of Young Conaway’s Bankruptcy and Corporate Restructuring Section and is a member of the firm’s Management Committee. She has been practicing business bankruptcy law for more than 25 years, representing debtors and secured and unsecured creditors in some of the nation’s largest Chapter 11 bankruptcy cases. 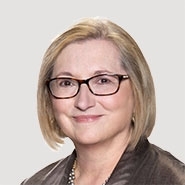 Recently, Ms. Morgan was inducted as a Fellow of the American College of Bankruptcy and was appointed by the Chief Judge of the Third Circuit Court of Appeals to serve on the Merit Selection Committee for bankruptcy judges in the District of Delaware. Anne Gaza is a partner in the firm’s Intellectual Property Section and serves as co-chair of the firm’s Diversity Committee. An accomplished litigator, she represents national and international clients in significant intellectual property and commercial cases in Delaware’s state and federal courts. A Fellow in and Delaware State Chair of the American Bar Foundation, Ms. Gaza is also a Fellow in the Litigation Counsel of America and was recently named to the IAM Patent 1000. She also serves as a neutral arbitrator through the American Arbitration Association. Both Ms. Morgan and Ms. Gaza have written and spoken extensively on areas relevant to their respective legal practices. Fortune magazine provides top executives with the practical knowledge they need to maximize their success. An elite audience turns to Fortune content for trusted insight, deep reporting, provocative storytelling and unparalleled access to the world’s most influential leaders and companies. Young Conaway Stargatt & Taylor, LLP, one of Delaware's largest law firms, counsels national and international clients handling sophisticated advisory and litigation matters involving bankruptcy, intellectual property, corporate and alternative entity law. The Firm also guides regional businesses through a myriad of employment, education, real estate, tax, estate planning, environmental, and banking issues.